Oh those sneaky milestones...they slay me too. Loved the video! 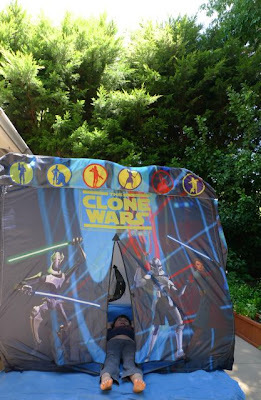 Jedi camp in the backyard! Yeehaw! I loved the video and the Jedi camp posts!!! Your blog is always such a cheerful way to start my day! Thank you! Loved every minute of LTYM!!! L, it came out so amazing!!!! Congrats to you and Ann, too! And of course to all the awesome and brave participants! So wish I could have been there--now feel like I was!! Thank you for the link to LTYM as I loved hearing your story but I so enjoyed hearing the other women as well! I subscribe to it and bookmarked the page so I can hear them all. So glad to have found your blog...thank you thank you!!! I loved it when I read it and love it more hearing your voice, seeing your expression shift. Love. It. All. Thanks for the link to you and all those fabulous women.